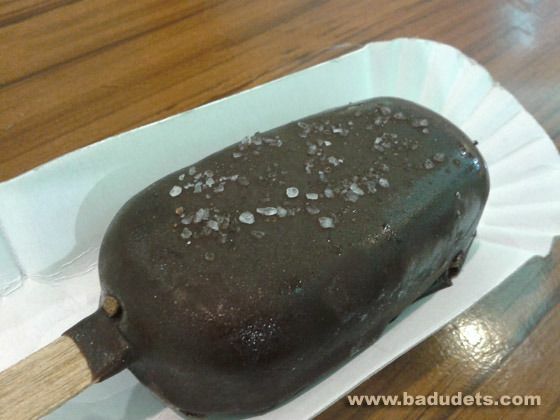 dark chocolate sea salt | Badudets Everything Nice! This sweltering heat makes me want to head to the nearest beach or a pool. I just want to be in the water. At work, I don’t even want to go outside for lunch or a meeting because imagine the heat at noon! I think everyone should do a conferencing service so that we can all stay at home. Anyway, since work gets in the way that I can’t just take a hiatus from this heat, I will just DIVE, a different kind of dive from Sebastian’s Ice Cream, dive bar in Dark Chocolate Sea Salt.